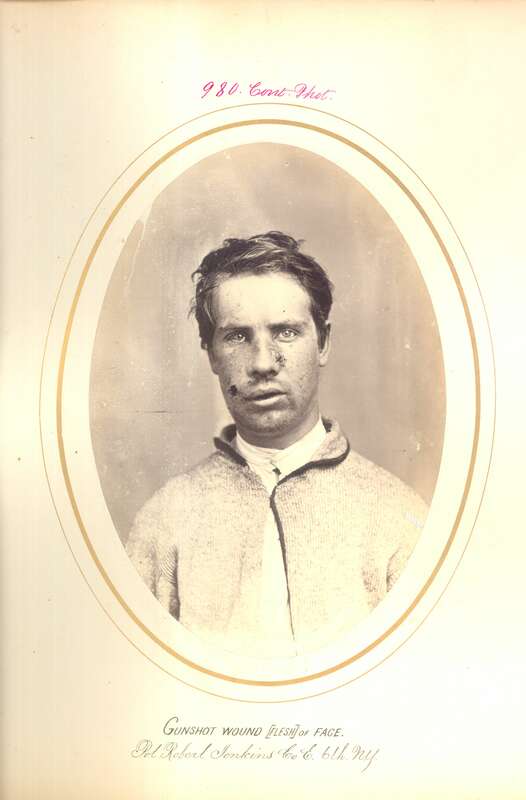 The medical images of Civil War soldiers taken towards the end of the war are undeniably compelling. Friend of the site Brendan Hamilton has previously explored the story of one of these men in a guest post, which you can read here. It was while researching another wounded Irishman that Brendan uncovered an extraordinary link between him and a number of other emigrant Union soldiers who all shared something in common– they had arrived in New York on the same day, in the same ship. This prompted him to carry out extensive research into these men and their fate, which Brendan shares with us in detail below. 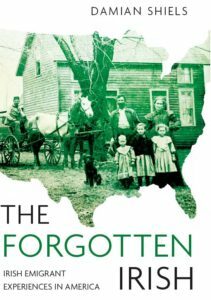 In addition to this, I was able to uncover some details as to the men’s origins and emigration. 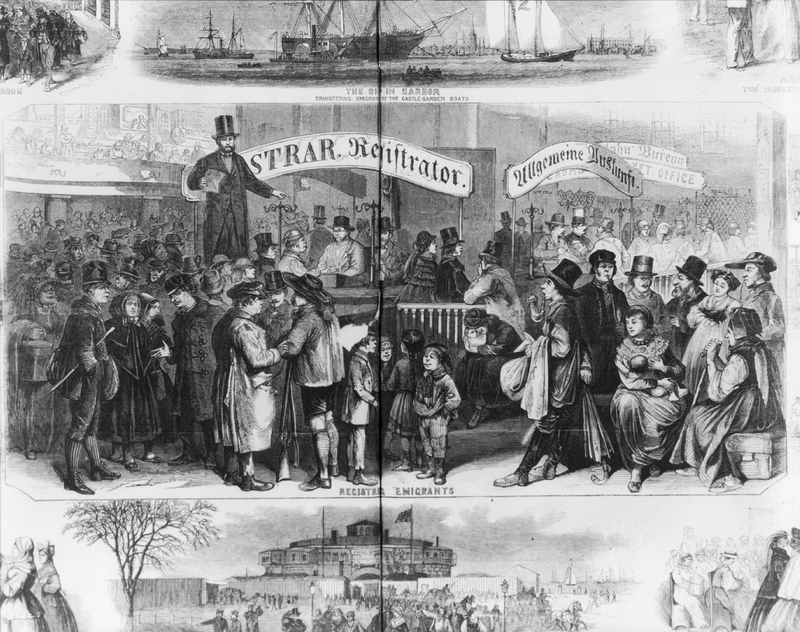 What emerges is a remarkable story which takes us from the manufacturing centres of Northern England to New York, via the Liverpool docks, on the trail of potential illegal recruitment into the Federal army. Bulens (or Bulins), Joseph 28 France Laborer 10 NY Cav. 14-Jan Transferred 1 NY Prov. Cav. Ismael, Bizen 20 France Baker 10 NY Cav. 14-Jan Transferred 1 NY Prov. Cav. Table 1. Union soldiers traced to the Great Western. * The original caption for the photograph erroneously records that Robert Jenkins was a member of the 6th New York Infantry. The 6th were no longer in service by 1865, and no Robert Jenkins is recorded on their muster rolls. **This Great Western is not to be confused with Brunel’s famous SS Great Western which was broken up in the 1850s. The vessel discussed here was a packet ship built in New York for the Black Ball Line in 1851. To add to potential confusion, the U.S. Navy also had the U.S.S. Great Western in service at this time. Frank Leslie’s Illustrated Newspaper 4th February 1865. Town Gossip. National Museum of Health and Medicine CP0980, Robert Jenkins. New York, Passenger Lists, 1820-1957 [database on-line]. 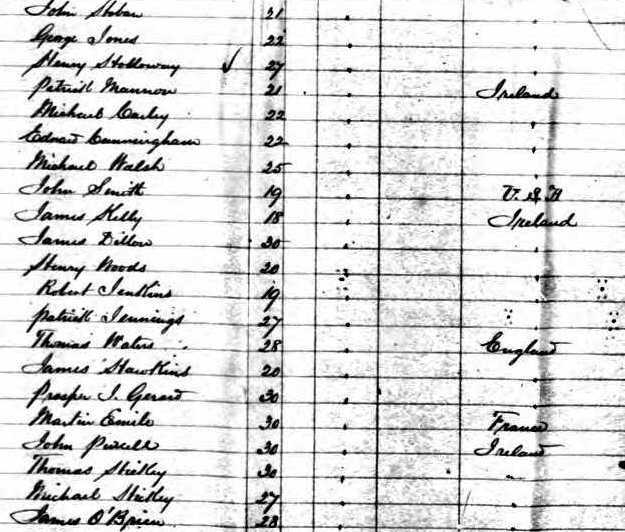 Year: 1865; Arrival: New York, New York; Microfilm Serial: M237, 1820-1897; Microfilm Roll: Roll 248; Line: 40; List Number: 31; via Ancestry.com. Provo, UT, USA: Ancestry.com Operations, Inc., 2010. New York State Archives, Cultural Education Center, Albany, New York; New York Civil War Muster Roll Abstracts, 1861-1900; Archive Collection #: 13775-83; Box #: 249; Roll #: 1121-1122; via Ancestry.com. New York, Civil War Muster Roll Abstracts, 1861-1900 [database on-line]. Provo, UT, USA: Ancestry.com Operations, Inc., 2011. New York Times 24th January 1865. The Draft: Number of Enlistments. Running Men Out of the City. Protection of Soldiers’ Bounties. Substitutes. Fraudulent Enlistments. The County Volunteer Committee. Kings County Quota. The Quota Under the Last Call. Official Records of the War of Rebellion Series 1, Volume 51, Part 1. Report of Maj. Theodore Tyrer, Sixty-fourth New York Infantry, of operations March 25. United States Federal Census [database on-line]. Provo, UT, USA: Ancestry.com Operations Inc, 2006. U.S. Army, Register of Enlistments, 1798-1914 [database on-line]. Provo, UT, USA: Ancestry.com Operations Inc, 2007. U.S. National Homes for Disabled Volunteer Soldiers, 1866-1938 [database on-line]. Provo, UT, USA: Ancestry.com Operations Inc, 2007. Barnes, James J. Barnes & Barnes,Patience P. 2005. The American Civil War Trough British Eyes: Dispatches from British Diplomats, Volume 3, February 1863- December 1865. Moffat, William C., Jr. 1965. Soldiers’ Pay. Cincinnati Civil War Roundtable. Another insightful story. They are becoming as interesting as the many books about the battles. Thanks John I appreciate that! Brendan did some exceptional detective work to bring this story to us. Were there many Canadians that were enticed to go south and enlist? If so, how did they fare? A lot of Irish-Canadians certainly served, and I come across Irishmen serving in the British Army who deserted to go across the border for the bounties on offer. I imagine the temptation of this must have been strong for many other Canadians as well, although I don’t have precise figures.